Brad has spent much of his career at Intel Corporation, the world’s largest semiconductor company, where he led the executive development team and was responsible for the corporate strategy process. While there he also held positions in IT, manufacturing and human resources. Brad specializes in applying executive development methods to the development of corporate strategy. While at Intel, Brad was asked by its CEO to run the corporate strategy process using methods used during executive development programs. This role came out of the realization that Intel’s executive programs were regularly producing innovative and adoptable ideas. 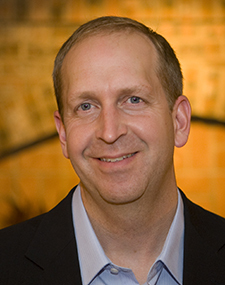 Brad has done extensive work with executive teams and consulting organizations around the world. He is an accomplished speaker and facilitator. He has been an adjudicator for the American Society for Training & Development annual awards since 2007. Prior to Intel Brad ran a small training consulting business, lived abroad for two years doing volunteer work and briefly worked in the United States Senate. Brad holds a Master of Science Degree in Instructional Technology and a Bachelor of Science in Political Science from Utah State University.